It’s your most important investment account — but the question remains, “How much money should I have in my 401k?” The answer is more complicated than you think. I’ve talked about the 401k a few times before. That’s only because the 401k is one of the most powerful investment tools at your disposal. Whenever I mention it, though, someone inevitably asks me the same question: How much should I have in my 401k? It’s a solid question — but answering it is a little tricky. Let’s jump in to see roughly how much you should have in your 401k at the ages of 30, 40, 50, and retirement age. There’s no one-size-fits-all answer to the question, “How much should I have in my 401k?” Though you should start investing in a 401k as soon as possible, some people might not get that opportunity right away — and that’s okay. The point is to do it when you can. When you do finally start investing, there are a few good rules of thumb to help you make a sound decision on how much you should have in your 401k. By 30 years old, you should have at least one year’s worth of income in your 401k. That means if you make $60,000, you should have that much saved in your 401k. By 40 years old, you should have at least three years’ worth of income in your 401k. That means if you were making $80,000 by the time you turned 40, you should have at least $240,000 saved in your 401k. By 50 years old, you should have at least five years’ worth of income in your 401k. This means if you increased your income to $100,000, you should have $500,000 saved up in your 401k. By retirement age (65 years old), you should have at least eight years’ worth of income in your 401k. That means if you increased your income to $150,000, you should have $1,200,000 saved up in your 401k. Of course, these are just rules of thumb. That means they only give you a rough estimate of what you should ideally have by the time you hit these ages. They do not take into account your individual income and experiences. In reality, there’s no one hard answer to how much you should have in your 401k — and anyone who tells you otherwise is either lying to you or just doesn’t know. It’s impossible to compare two investors fairly. Everyone has their own unique savings situation. That’s why it’d just be dumb to compare the Ph.D. student saddled with thousands in student loan debt with the trust fund baby who just snagged a cushy six-figure corporate gig the first month out of college. They’re both going to save very differently, so it’s not worth comparing. Most people aren’t financially prepared for retirement. The American Institute of CPAs recently released a study that found that nearly half of all Americans aren’t sure if they’ll be able to afford retirement. That’s even scarier when you consider the fact that many people overestimate how much of their nest egg they’ll be able to use once they actually retire. Do your research. Which you’re already doing by reading this article. Be disciplined. This means consistently putting away money. Start early. The best time to get started investing was yesterday. The second best time is right now. So just get started and don’t worry about the rest. That’s why it’s so important you understand exactly what your 401k is — and why it’s so important to your retirement strategy. A 401k is a powerful type of retirement account many companies offer to their employees. With each pay period, you put a portion of your pre-tax paycheck into the account. It’s called a “retirement” account because it gives you huge tax advantages if you don’t withdraw your money until you reach the age of 59 ½ (retirement age). Pre-tax investments. The money you contribute to a 401k isn’t taxed until you withdraw it at 59 ½, which means you have much more money to invest for compound growth. If that money was invested in a normal investment account instead, a portion of it goes towards income tax. Free money with employer match. Most companies offering 401ks will match you 1:1 up to a certain percentage of your paycheck. Say your company offers 5% matching. If you earn $100,000/year and invest 5% of your annual salary ($5,000), your company would match you $5,000 — doubling your investment. It’s free money! Automatic investing. With a 401k, your money is taken from your paycheck and invested automatically, which means you don’t have to go into a brokerage account to invest each month. This is an excellent psychological trick to keep you investing. You’re trapped on a desert island and the employee benefits are lacking. Your current employer doesn’t offer a 401k. If your employer does offer a 401k plan with matching, be sure to call your HR rep and sign up for it as soon as possible. If your employer DOESN’T offer a 401k plan, sign up for it still anyway (but you’ll want to hold off investing in it — check out my video below for more info). When you do, you might start to wonder how much you should have in your 401k. And the answer depends on a number of factors. Much like the Roth IRA, there is a limit to how much you can contribute to a 401k. Unlike a Roth IRA, however, you can contribute MUCH more. Starting in 2019, you can contribute up to $19,000 each year to your 401k if you are under 50. If you are over 50, you can contribute up to $6,000 more, for a maximum of $24,500/year. When compared to a Roth IRA, where you can only contribute up to $6,000/year, this is an amazing opportunity — especially since your pre-tax money is being compounded over time. Your Roth IRA contribution. Once you’ve started contributing to your 401k and eliminated your debt, you can start investing into a Roth IRA. Unlike your 401k, this investment account allows you to invest after-tax money and you collect no taxes on the earnings. As of writing this, you can contribute up to $6,000/year. Once you’ve contributed up to that $6,000 limit on your Roth IRA, go back to your 401k and start contributing beyond the match. Remember, you can contribute up to $19,000/year on your 401k if you’re under 50. So you should have no issue continuing to invest in your 401k. And if you are able to max it out, please be sure to give me a call. We’re going out for drinks on you. The Ladder of Personal Finance is pretty handy when considering what to prioritize when it comes to your investments. For more, check out my less-than-three-minute video where I explain it. The Hills is still on, right? Right? …it’s hard not to scream at young people about the importance of investing. The youngest employees both participate and contribute the least to their 401k even though it’s best to start as soon as possible. The oldest people (age 42 and up) contribute the most aggressively. Less than one-third of young people participate in 401ks. 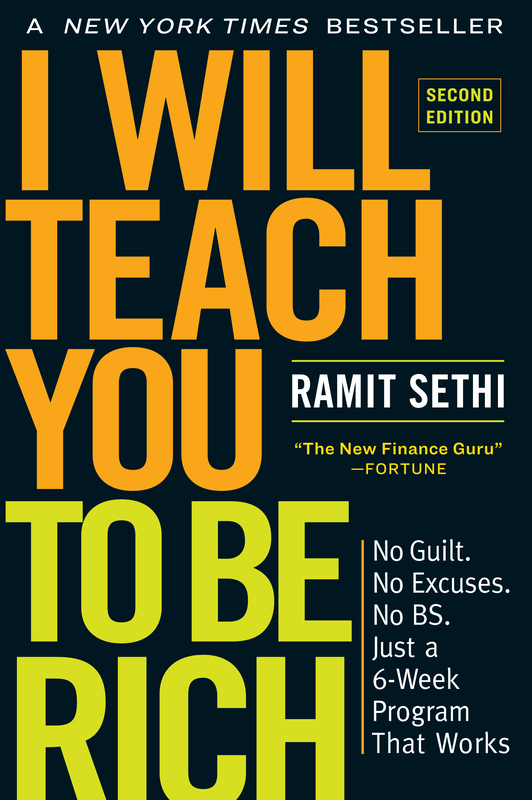 Couple that with the fact that 1 in 3 of ALL Americans has saved nothing for retirement, and you have a recipe for a very frustrated Ramit. …but how do you do that? The answer to “how much should I have in my 401k” is an important one — but it’s not the only way to ensure your financial future. There’s a limit to how much you can save, but there’s no limit to how much money you can earn. Many people don’t understand this and because of that, they’re content with contributing very little to their retirement accounts. When they actually retire, they’re surprised when their nest egg is a lot smaller than they thought and they have to get a job as a Walmart greeter to pay for their condo. If you realize that your earning potential is LIMITLESS, you can truly get started working toward living a Rich Life today. Negotiate a salary raise. 99% of people are content with not asking for a salary raise. So if you are willing to negotiate, that puts you in the 1% and showcases to your boss that you’re Top Performer willing to work hard for more money. Start a side hustle. One of my favorite money making tactics is starting your own side hustle. We all have skills. Why not leverage those skills to start earning more money in your free time? Practice conscious spending. If you want to be rich, you have to start spending money like a rich person. No, I don’t mean going out and buying a Corvette. I mean spending money consciously so you know exactly how much you have to spend each month — while earning money passively. I want to help you get started on one of these tactics today: Negotiating a salary raise. I know, I know. The word “negotiation” tends to dredge up images of people screaming at each other about numbers until one of them gets their way — but the reality isn’t like that at all! Negotiations take finesse, practice, and will power. If you’re able to master the lost art of negotiations, though, a world of saving and earning can be opened up to you. That’s why I want to offer you my Ultimate Guide to Getting a Raise and Boosting Your Salary. I created this all-inclusive guide because I was sick of the awful advice that we find masquerading as legitimate negotiation tips. So I decided to give you real talk and provide the word-for-word scripts to get your boss to actually WANT to pay you more money. Exactly how to crush salary negotiations even if you’re nervous or inexperienced. Word-for-word scripts that’ll have your boss jumping to give you a raise. How to stop being shy. Case studies: How Karen got a $10K raise when she was making just $13/hour. The secret technique to make even the most stubborn bosses say “Yes!” to raises. You’re going to see actual students negotiate — and watch me teardown where they go RIGHT and WRONG. By the end, you’re going to know the exact tactics to earn more money. Enter your info below and get the PDF for free today — and start earning the salary you deserve.